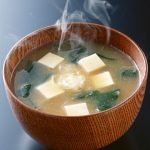 I can’t say enough about this Miso Soup recipe! It’s fast, easy and very healthy! If you’ve never had home made miso soup, you’ve probably never had GOOD miso soup. When you go to a typical japanese restaurant, they almost always use instant miso. 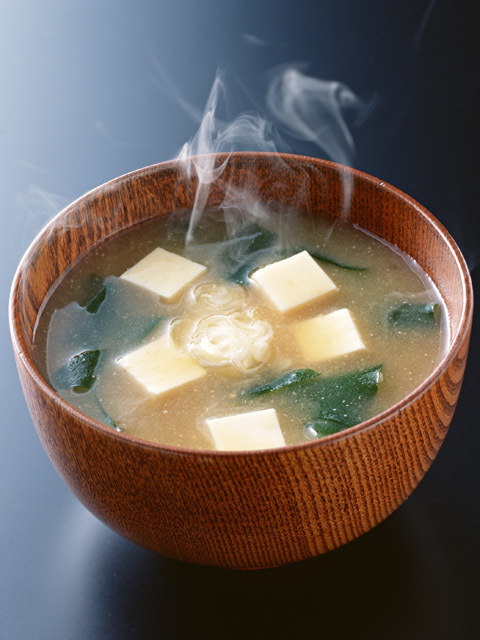 Miso is a live food – a fermented soy product with living culture in it. Instant miso has neither the flavor, nor the health benefits of real, aged miso. For this reason, it’s important not to microwave your home made miso soup, or heat it too hot. When reheating this miso soup recipe, heat it on the stove top over low heat, and try not to get it over 120F degrees or so. The recipe is basic, and it’s hard to screw up. You can put whatever veggies in this soup that you want, but I stick with onions, carrots, and cabbage with a bit of tofu and sometimes seaweed. Sauté onions in a bit of oil for 3-5 minutes. Add carrots. Sauté until almost tender. Add cabbage and cook covered until tender. Add vegetable broth. Add tofu and simmer, covered, for 3-4 minutes. Take off heat. Add seaweed if using. When soup has cooled substantially (you do NOT want it hot!) take a small bowl and add the cooled broth to it. Mix in your 4 TBSP of miso and mix well. Add this back to the soup and stir. Viola! Home made miso soup!